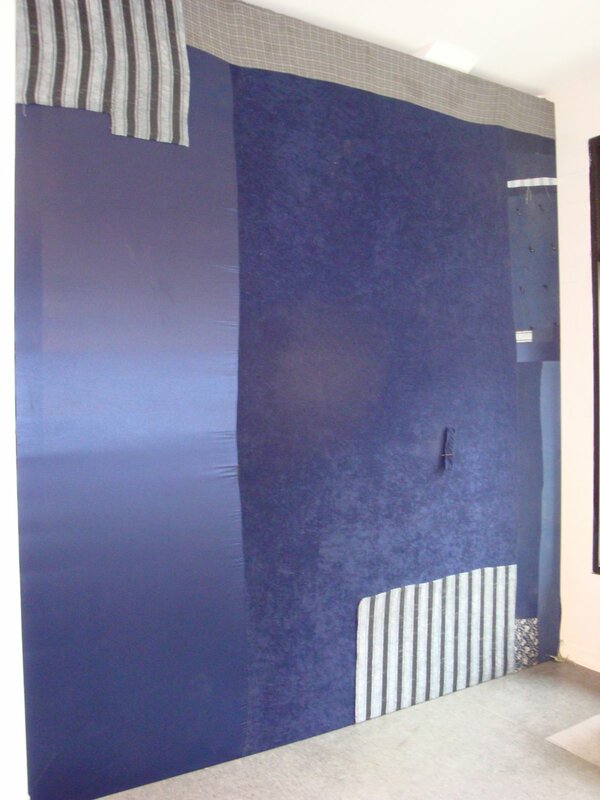 New York based artist Rashawn Griffin senstive poetic installation is comprised of collaged drawings and wall framings. He stretched denims and fabrics around entire portions of the walls in the gallery to frame the architecture as a component of this intimate work. 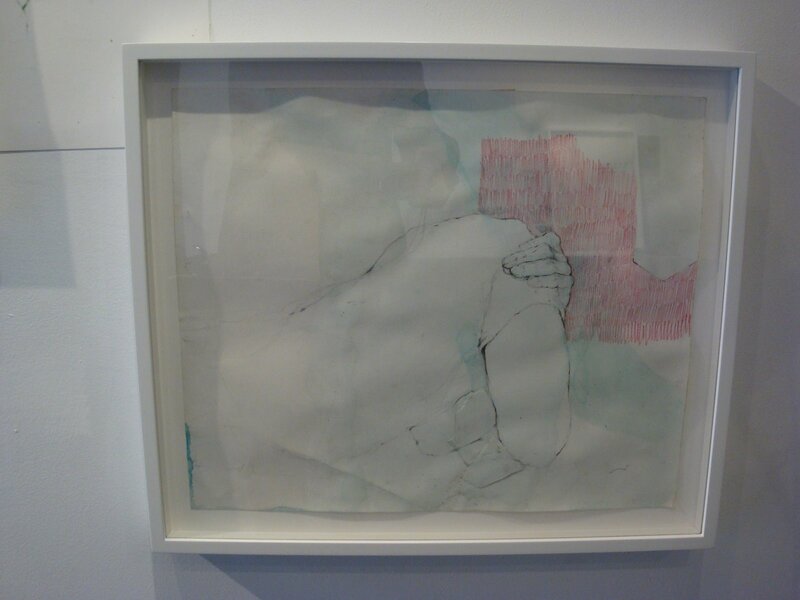 The drawings are collaged and sketched, and the walls extend out in dialogue with the framed pieces.